founded by Wing Chun Master K.Pham, the senior lead lineage closed-door disciple in Canada of World Renowned Wing Chun Grandmaster Ho Kam Ming (Ip Man > Ho Kam Ming). 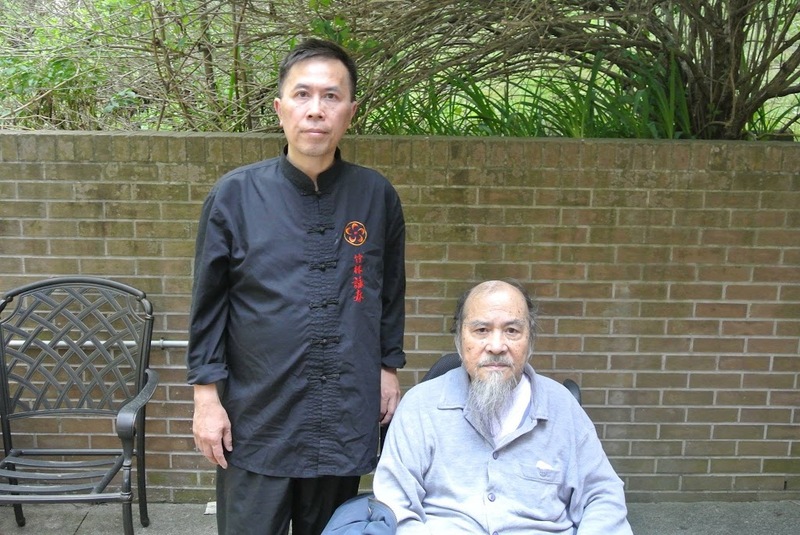 Wing Chun Grandmaster Ho Kam Ming is a world-famous top closed-door disciple of Great Grandmaster Ip Man and is a past vice president of Ip Man's Hong Kong Ving Tsun Athletic Association. Master K.Pham is a senior lead disciple of Wing Chun Grandmaster Ho Kam Ming , a Vice President and an official Judge on the Experts Examination Committee of World Ho Kam Ming Wing Chun Federation Headquarter in China and its Official Representative in Canada. authorized to teach the original authentic Ho Kam Wing Chun Systems. Illustrated Magazine June 17th 2016 issue # 30. Ho Kam Ming Wing Chun Lineage was featured in Kung Fu Quest TV series, Wing Chun Illustrated Magazine (click to view the WCI interview with Master Kiet Pham: Ho Kam Ming Wing Chun From The Eyes of sifu Kiet Pham), Inside Kung Fu Magazine, Kung Fu Tai Chi Magazine, The movie 'Wing Chun Documentary' sponsored by ShuiOn Land & Wing Chun seminars in Ottawa , Chicago , Los Angeles , Ohio and Tuscon Arizona. Wing Chun is a practical and extremely effective Southern Chinese Martial Arts. As a self-defence system, it has great reputation of being able to use a direct center-line approach based on fast reflex feeling, explosive power and springy softness energy to counter overwhelming brute forces. As a holistic martial arts, it also enhances brain power, quick-witted response, releases stress, and develops a spiritual state of well being that is healthy, happy, self-fulfilled, and mentally alert. 何金銘詠春派系曾被不同之媒體介紹. 分別有香港電台的功夫傳奇, 瑞安房地產拍攝的詠春特輯. 功夫雜誌Inside Kung Fu 和Kung Fu Taichi 的訪問. 何宗師曾主持講座的地區包括有 渥太華, 芝加哥, 俄亥俄, 圖森和洛杉磯. The Wing Chun Kung Fu System taught by Master K. Pham is pure traditional and authentic Wing Chun as passed down directly from Wing Chun Grandmaster Ho Kam Ming. It is a graceful, artistic, dynamic, practical Chinese Martial Art based on principles from the natural science of physics and human kinetics. Our objective is to promote traditional and authentic Chinese Martial Arts and carry on the mission to spread the beauty of our Wing Chun System to our community.